Springtime New York proves to be one of the top destinations for collectors, artists, and curators. 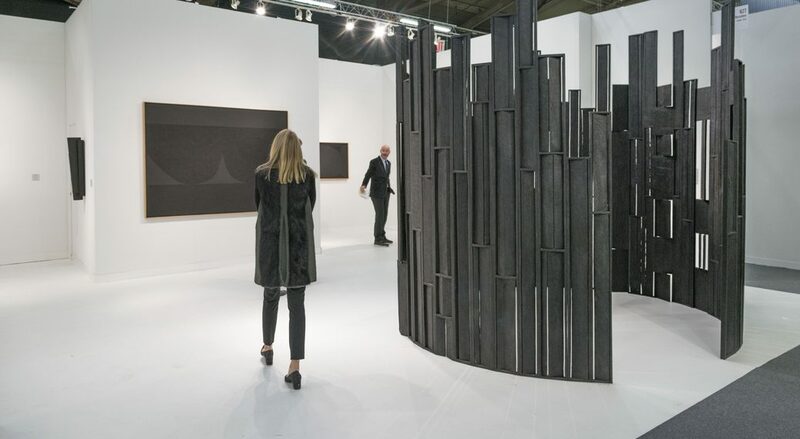 The Armory Show hosts its 25th edition offering top quality of Modern and Contemporary art. This year’s event appears to be a force to be reckoned with more than ever, with an extensive program of various thematic sections, a talk platform, curatorial initiatives and specially commissioned projects. All is ready to engage enthusiasts, professionals and gallerists, dealers and collectors within one of the most important art fairs in the world. Exhibitions and diverse cultural offerings are staged around the city – from exclusive museum tours to gallery openings and performances. Aside from The Armory Show, a number of parallel art fairs will also take place including Scope Art Show and the Independent Art Fair. The Armory Show continues to hold its new popular format „Armory Live“ which will bring together prominent curators, critics, artists and collectors for a thought-provoking series of conversations, panels and screenings, taking place at the fair and online. In a series of conversations ranging from panels to intimate dialogues, current themes and visual cultures will intersect to highlight a number of crucial topics within the artistic community. This section features a number of internationally celebrated contemporary artists, in addition to curators, collectors and critics from around the globe. In the „Focus“ section we see solo presentations of new or rarely seen work by some of today’s most relevant and compelling artists that have been curatorially chosen. The initiative is part of The Armory Show’s new vision to increase engagement with prominent international curators, emphasizing solo-artist presentations and strong curatorial viewpoints.